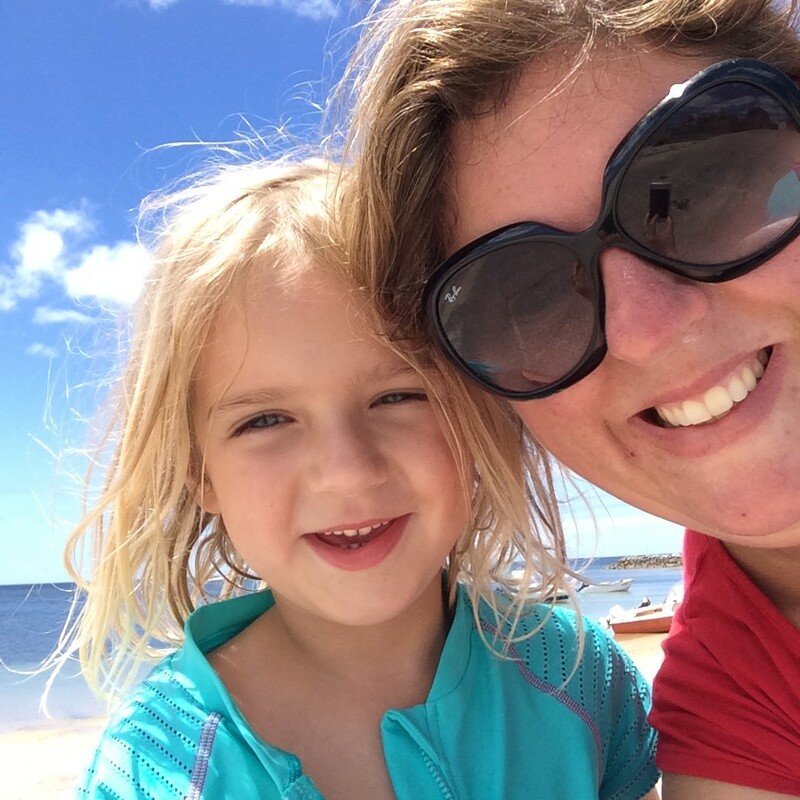 For the past couple of Summer holidays we’ve spent a week at Port Vincent, in South Australia’s Yorke Peninsula, holidaying in Audrey the caravan. I think it’s our favourite holiday of each and every year. It’s the only place we truly relax as we do nothing but sleep, read, hang out on the beach and chill out. This year’s holiday was no different. The Port Vincent kiosk sits right on the sand, next to the playground and is a quick stroll from the Foreshore Caravan Park, where we stay. It is here that you will buy the best hot cinnamon donuts you’ve ever eaten. And the the freshest, most delicious whiting, fish burger. The service is friendly and quick and it has a huge selection fit for a seaside kiosk and eatery. You can even enjoy pancakes and a coffee on the deck overlooking the water. This bay has big tides, which makes it’s perfect for kids wanting to explore the sandy shore for tiny crabs and fish. There are no waves here, which makes for awesome conditions for canoeing and boating. The gusty breezes bring windsurfers and kite surfers. It’s perfect for people with young kids as they can play in the shallows without fear of being swept away in a big wave. It’s also awesome for big kids and adults to go for long canoe paddles and competitive sailing. People set up their sun shades, plant their feet in the sand and sit for days on end relaxing, while their kids snorkel, jump off the pontoon and splash around. There’s something so relaxing about having the time to fish. Twiggy isn’t a big fisherman but even he caught three fish, which made for delicious eating. The girls loved sitting with him and learning how to cast. And if you’re into crabbing, it’s an awesome spot. When it comes to cleaning your fish there’s always a hungry flock of pelicans waiting eagerly for your fish scraps. 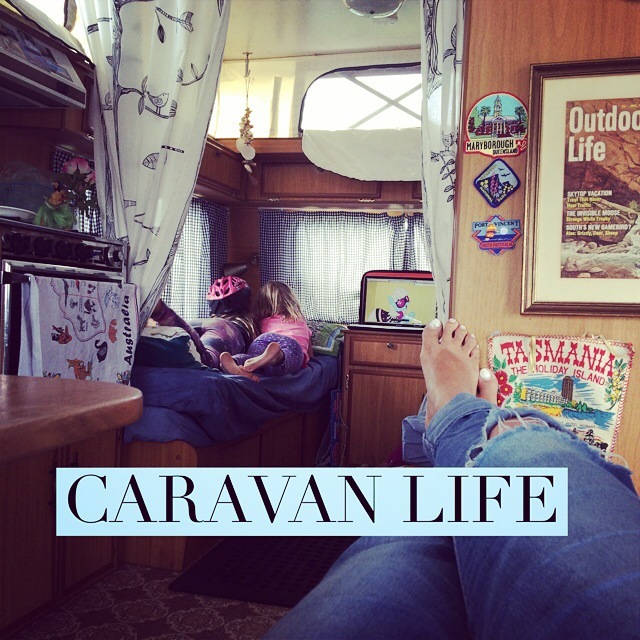 From the moment we set up the caravan we immediately settle into the relaxed vibe. Hair is hardly brushed, shoes are optional, bathers often worn all day and sunscreen becomes a part of your regular morning routine. People are friendly, conversations with strangers commonplace, waves and nods the norm. Life is relaxed and the mood is slow and steady. Beers are cracked open by lunch and eskies used as foot rests. Kids cruise the caravan park on their scooters, skates and bikes while their parents and grandparents gather in groups to chat about the day’s fishing and the latest books they’ve read. There are no deadlines, just days that revolve around the sun rising and and setting. The drive to Port Vincent is long stretches of grain fields, sheep paddocks and big open skies. It’s endless. It provides respite from concrete jungles. Its monotony is welcomed as your thoughts drift like the lazy clouds that tumble past you. There are lots of towns to visit for day trips, the ocean on the other side of the peninsula is wild and wooly and the bakeries are full of cream buns so full that sugary cream moustaches are impossible to avoid. There’s something lovely about beachside towns surrounded by farming land. It’s like the best of both worlds. At Port Vincent the days are long and delightfully lazy and the nights are full of deep sleep. You dreams of are full of hopes and delectable impossibilities that finally have the space to fill your head, taking place of your daily stresses. You feel fresh and full of hope. You feel alive with truly replenished. You simply must visit there one day. This looks so perfect, but out of all the things I love, the thing I love the most … is that you named your caravan Audrey! That is my late Nan’s name and it just conjures such a wonderfully warm and welcome image that I just know you had a great time. I’ve been back to look at those donuts twice! I know that holiday destination bianca! it is the perfect beach for a kick back summer holiday! we did it first in our caravan, then my sister-in-law had a holiday house there! so relaxing and easy! the kids loved it all! … swimming lessons too! many years of memories there! … including fish and chips and champagne on the beach! My parents took my sisters and I caravanning most school holidays – we loved it.